Very well done in cast resin. These bookends, set of 2, are cast and hand painted by Oklahoma, USA artisans who love their work and show pride in craftsmanship. 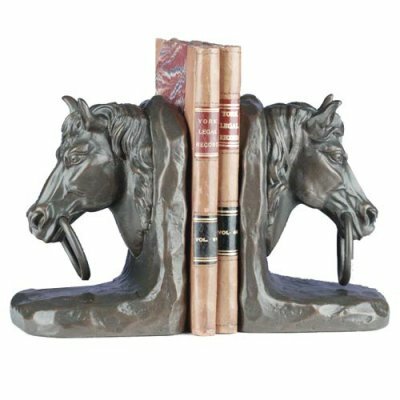 Set of two cast resin Horse With Rings Bookends.